Most of these folks have never met, but after dinner many of them might become old friends or even something more. CLEVELAND — Most of these folks have never met, but after dinner many of them might become old friends or even something more. "We were able to introduce two people, they got to having a relationship and talking to one another and then suddenly they're co-founders of a business," said Ed Buchholz, founder of Start in CLE. Start in CLE puts on monthly meet ups called founders dinners. It's a space for entrepreneurs all across Northeast Ohio to talk progress, challenges and even look for a partner. Buchholz says Cleveland start-ups benefit from this greatly. "I really realized that that was an undeveloped muscle if you will, a weak muscle, we don't really spend that much time together," he said. Matthieu Corrand never misses a dinner. He owns Check-In Sherpa, where he makes software for resorts and adventure companies. "Before using our software, typically they would not have online bookings, people would call or email and it would just be a huge nightmare," said Corrand. He says he learns something new every dinner. "Just such a range of different stages that people are at so its amazing when you can learn from people by its even better when you can teach people and pass it forward," he said. The dinners happen at a new restaurant each month and they are donation based. 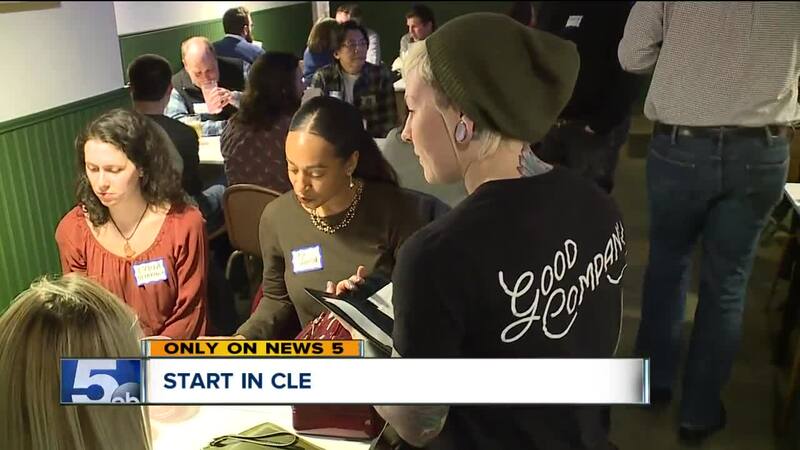 Start in CLE has another event coming up next week and their founders dinners happen once a month.